You could own a share of My Brother today and share in the excitement of his training and racing – please click HERE to contact Phil for further information or to buy a shareholding. Discounts are offered for 5% and 10% purchases. 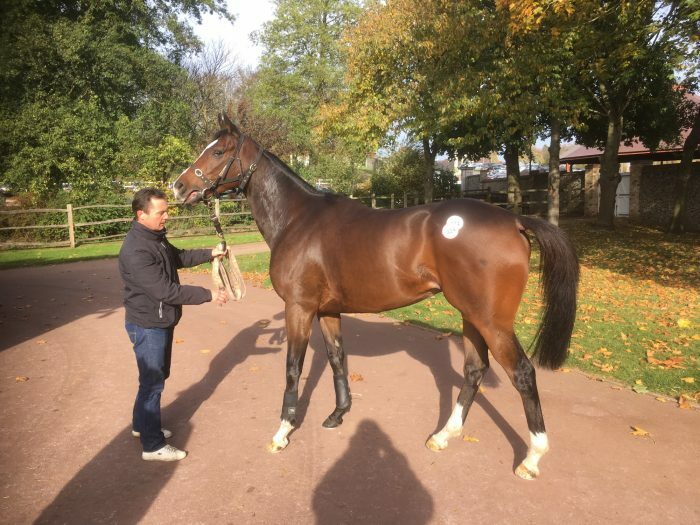 My Brother was bought from the Autumn Horses In Training Sales at Tattersalls in Newmarket on 31st October 2017 for 21,000 guineas. We felt that he was an exciting prospect, rated 82 on the flat, well ahead of our other horse with a flat rating, The Way You Dance (who has several wins in BG Racing colours). We felt that My Brother could develop into a serious hurdler who can contest some nice prizes and he was sent to Neil Mulholland’s yard after purchase to prepare him for his debut in that sphere. Once raced as two-year-old, My Brother opened his three-year-old career with a win at Sligo in Ireland and went on to contest two valuable races at the end of his three-year-old career. As a four-year-old, he ran five times, at Class 3 and Class 4. He seemed to handle 12f and more on the flat and acts on soft ground. He is a well built and strong individual. 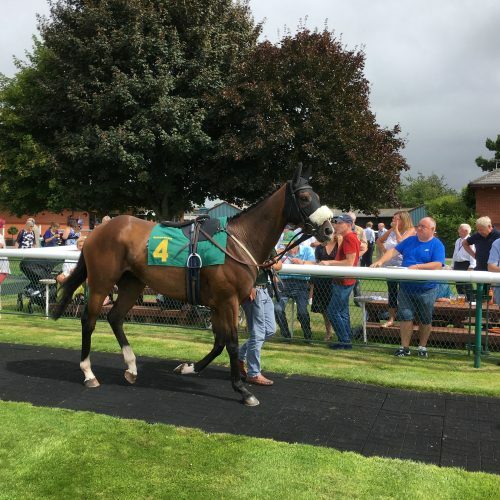 My Brother made his debut for us in July when 2nd in a maiden hurdle at Perth. He was dropped back to 2 miles in August when 4th at Bangor. We felt that he would not be seen to best effect until he raced on softer ground and so it proved when he was 3rd at the end of October at Fakenham when a stumble cost him the chance of a win. The 2018/19 shareholding year seemed set to be an exciting (and possibly rewarding) one, and so it proved with a second place finish in a valuable novice handicap hurdle at Cheltenham in November! Having already finished 2nd, 4th and 3rd before renewal, My Brother had done nothing to diminish his value and his share price to 31st October 2019 was set accordingly. The Cheltenham run has however shown that he is capable of competing at a higher level and with that came an increase in his valuation, to the current level of £450 per 1% share (nothing else to pay until 1st November 2019).